Over the last couple of years Canik USA has been importing handguns via Century Arms (Phone: 800-527-1252; Online:centuryarms.biz). 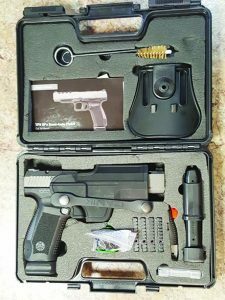 Among them is a pistol brand that has started to have a big following: Canik, yet another quality affordable firearm from Turkey. Century has been importing various models of the TP9s.All come with interchangeable backstraps to improve their fit and a Picatinny rail for mounting accessories. There is the TP9SA with a slide-mounted decocking button and dovetailed sights. The SF also has a match grade barrel, reversible magazine catch as well as being striker fired (hence SF). 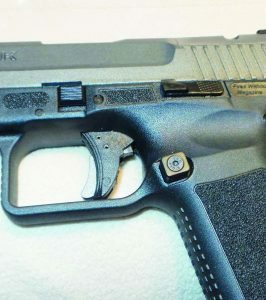 The 9SF service pistol, with Warren Tactical rear sight, has a Cerakoted slide. The TP9SF Elite-S has a Tungsten Cerakote finish, Warren Tactical rear and fiber optic front sight. This pistol was as close to a competition pistol as Canik offered. This was going to change in 2017. To reduce slide mass and felt recoil, Canik puts 10 cut outs in the slide, 2 are under the front of the slide; 4 on each side. Prior to the 2017 SHOT Show, I received numerous emails regarding the newest SF family member: the TP9SFx. This would be the pinnacle of perfection, or so various releases told me. Being a diehard skeptic, I had to see firsthand. Having handled various TP9SFs, I knew they fit and felt good in the hand. The trigger in all the Caniks is crisp and short for a polymer pistol. 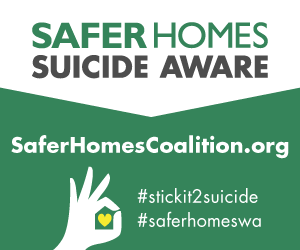 For most folks who own various Caniks, they all say they point well which aids in accuracy. Unlike competitors, there are very few if any truly sharp corners that will inflict pain on the operator. Canik paid attention to the consumer. 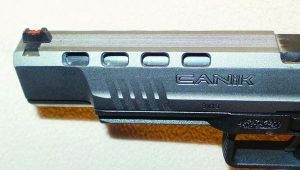 Canik relieves the rear of the trigger guard to allow for a higher grip which reduces felt recoil. You can also see the extended magazine release, slide stop and takedown lock in this photo. The TP9SFx is a five-inch pistol with lightening cuts to reduce the weight of the slide. 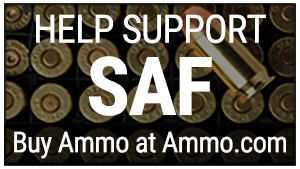 This reduces slide mass and, during recoil, muzzle rise. Like the rest of the SF family the magazine catch is reversible, but it’s an extended release for quicker magazine changes. Canik even includes two additional sizes of magazine extensions for your comfort. The next biggest change making this a competition pistol is the sight plate. This plate secures with two screws to install a mini-red dot. There are four plates that replace the entire rear of the slide where the rear sight is installed. Many folks will complain, they won’t have back up sights, but they really do get used to? It’s my opinion that very few do. 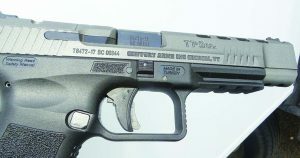 Besides, this pistol with its three and a half to four pound trigger and slide racker, is geared for competition not duty or self-defense. With or without the red dot, I’d feel comfortable using it for a “house gun”. Warren Tactical Sights are used by many of the world’s finest shooters and they are standard on the Canik TP9SFx. The last and likely most visible enhancement is the 20-round magazine. Like all SF pistols the magazines have what Canik calls AFC coating. This coating is slick and makes them more corrosion resistant. When you hit the magazine release, the magazine is going to be gone; even if it was somewhat muddy. I speak from experience, as my sample of the TP9SFx arrived as I was heading out for a match and when checking the pistol for zero it was raining and a couple ended up in the mud. This did not affect their performance; and out of the box at 20 yards it was dead on with all popular factory bullet weights. After giving the SFx an impromptu bath in the spring monsoon, it needed lubricating. This is the easiest to field strip polymer pistol I have handled. 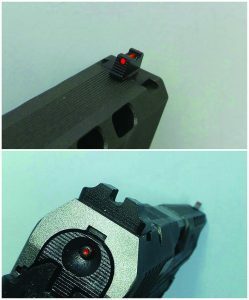 As always, ensure it is clear and empty, remove magazine, retract slide slightly, pull down on the slide locking bar, pull trigger and slide comes off. From there clean and lubricate as needed. Simply put slide assembly together and slide it on the frame; you are done. The Canik 9TPSFx with its lockable box, holster, red dot mounts and all the accessories. I figured I would give this pistol a serious test drive and run it in the USPSA Multi-Gun Nationals and Area 6 Championships. This would have the TP9SFx get used in the baby powder dust and sand of Las Vegas and in the near tropical dampness of Georgia in the spring. What I found from this experiment was the pistol is dead on from contact to thirty five, forty yards. No matter the bullet weight, ojive or manufacture, the TP9SFx just kept shooting. It fired over four hundred rounds with ZERO malfunctions. 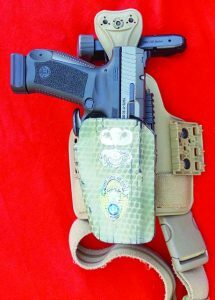 To use the pistol for competition, it needed a holster. While the TP9SFx ships with a polymer holster, I wanted a fast retention holster. I turned to my go-to holster, Safariland’s $50 GLS Pro (Phone: 800-347-1200; Online: safariland.com), large long model which fits XDms and G41s, and it was perfect. The GLS Pro with its patented retention/fit unit allows this pistol to fit a huge number of pistols like a glove. TP9SFx ready to race in author’s well-traveled Safariland GLS Pro rig. During the twenty minute how does the pistol shoot session, I did bench the pistol. I used a mix of 115-grain full metal jacket and 110-grain jacketed hollow point ammunition from Black Hills Ammunition and 147-grain full metal jacket from Federal. At 25 yards the accuracy was “terrible,” putting fifteen rounds with each of the three loads into less than three-inch groups with eight to ten rounds touching. I am sorry I could not make the Canik shoot better. I am certain the Warren Tactical sights, crisp trigger and short reset-made a difference. After putting the TP9SFx through its paces, I can say it is a helluva pistol. It is accurate, shows no preference for weight or design. When you consider it ships with two 20-round magazines, holster, mini-red dot plates, slide racker and customizable magazine release; that’s should get you interested. If that does not get your attention, will the fact it sells for $500-$550 help? The right side view of the pistol shows the takedown lock and Picatinny rail. 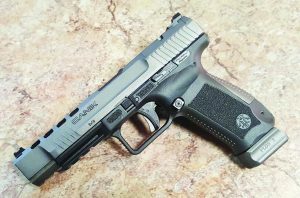 If you are in the market for a pistol for competition, Century Arms’ Canik TP9SFx should be on your short list. Pick one up at your local purveyor of fine firearms to see how it feels and fits you. I think you too will be impressed. Century Arms and Canik are showing the market you do not have to spend a fortune to get a fine piece of equipment. If you are in the market for an all-purpose pistol, the Canik TP9SFx would be a fine choice. After getting your new pistol, get out to the range with it; shoot safe, shoot accurately and have fun this summer.